Marie Brown runs a Toddletown Kidz, a home-based daycare center in Charlotte. Even though Toddletown Kidz is a daycare center, Brown exposes children early on to the skills they’d learn in preschool and kindergarten. Children come in the morning with their homework from the previous day. They learn about sight words, for instance, and take part in activities that help in their reading comprehension and fluency. Brown has also created a space that is not competitive, in fact, the kids cheer their friends on and support each other as they learn to love books and read. 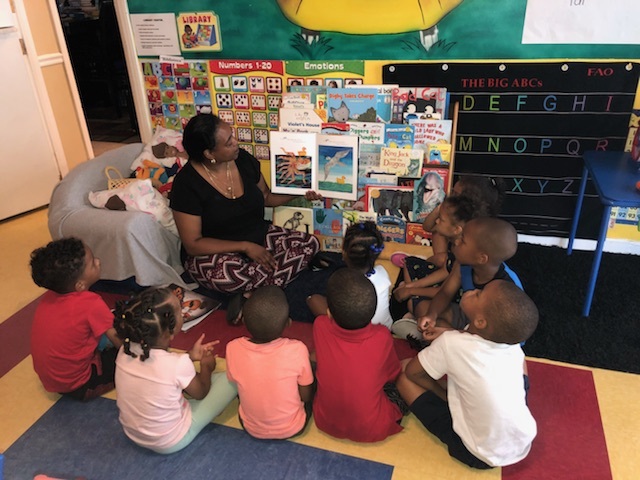 Brown also ensures that the children are read to at least two or three times a day, and she involves the entire community, inviting judges, county commissioners and PBS affiliates to come in and read to the kids. At Toddletown Kidz, Brown cultivates a love for books. She is a member of the Raising A Reader program, and through that, children at her daycare receive their library cards, which they are very excited about. Brown makes sure that parents know all the resources that are available in the community, like the Dolly Parton Imagination Library, which sends free books to families across the county. What makes Brown so special is the message she speaks about how education is the best investment for our children and our communities. One parent shared how Brown speaks of how it takes a village to raise a child, and how proud she is to be part of that village, showering the children at Toddletown Kidz with love. With Brown’s help, parents say they have become much more aware of how impactful their role in their child’s learning is, and appreciate why they need to be involved prior to kindergarten.